Kobold VK200 Accessories Review: Why You Need Them All! 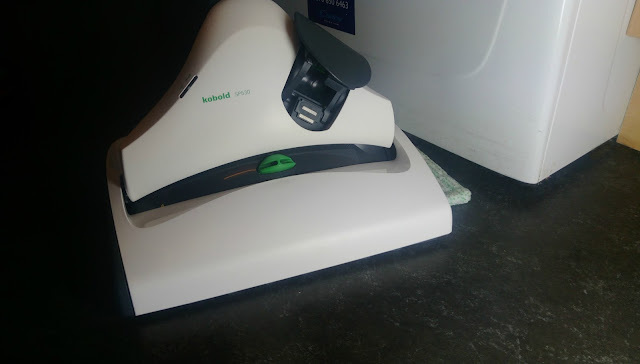 I've been testing the Kobold VK200 for a while now, and this is because it's a lot more than just a vacuum cleaner... and also because I really don't want to have to give it back *sob*. When it arrived for testing, it came with such an astonishing array of different, and very clever, attachments, I knew this was going to take some time. 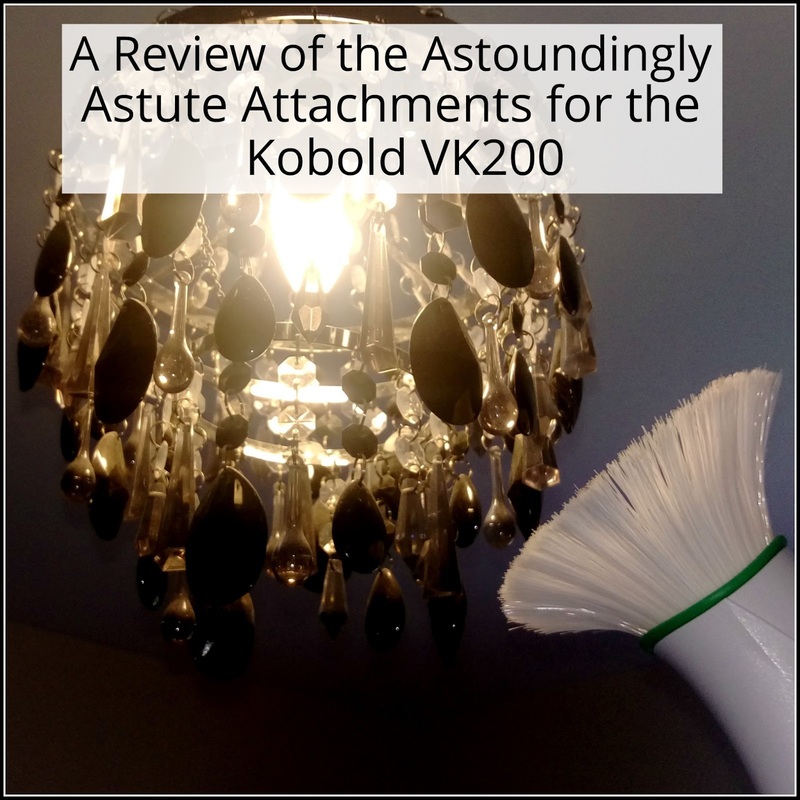 So, along with our initial review of the Kobold VK200 vacuum cleaner, with automatic electric brush head, this second review looks at all the attachments that are available to for it and all the different jobs they are waiting to take off your hands. To really get the best from the Kobold, the most important accompaniment for the system is the accessory pack. This comes with a soft nozzle, crevice nozzle and flexi nozzle (all pictured) as well as a long, powered hose to attach them to the cleaner, a telescopic tube and a shoulder strap to carry it. So, once you have the accessory pack, you can unlock a huge range of different uses from one appliance. You can also add to it, by purchasing the upholstery brush, which has a switch to allow you to change the suction from the base to the tip, which makes it a dream for getting into corners and hard to reach places. It halves the time spent cleaning the inside of the car, and even gets into the buttons on the sofa! There is also a dry cleaner for your mattress. No one likes to spend too long thinking about what lurks in a mattress *shudder* but the massaging tool will get the specially created mattress cleaner deep into the mattress and the vibrating deep cleaning attachment will loosen the dirt and vacuum everything up. 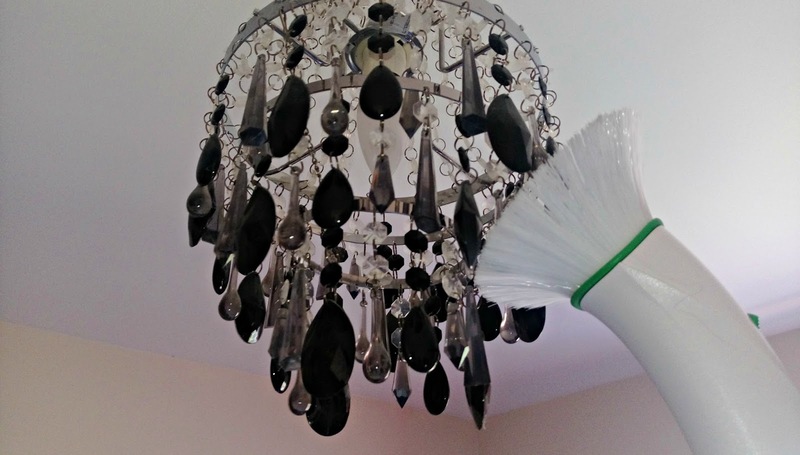 I'm a big fan of dangly light fitting, so the soft nozzle is a tool that I really need in my house. One flick of a switch takes the tool from a standard vacuum cleaner nozzle, with a bristle brush on one end, to this rather beautiful, and very effective fanned brush. As it attaches to the telescopic tube, it is perfect for light fittings, even the really elaborate beaded ones, as well as the tops of doors and curtain poles. Along with the electric brush head, which is the standard attachment for the Kobold VK200, you can also buy two other heads which perform different functions. This works out very cost-effective, as well as space-saving, because you use the same appliance and only have to store the separate heads for the device. If anyone else is picturing Worzel Gummidge, or Kryten from Red Dwarf right now, it's not quite the same thing, but not a million miles off. Firstly, you can buy a very effective carpet dry cleaner head, which costs £300. Particularly if you have an expensive carpet, it can be risky to get it too wet and even steaming isn't always without issues. 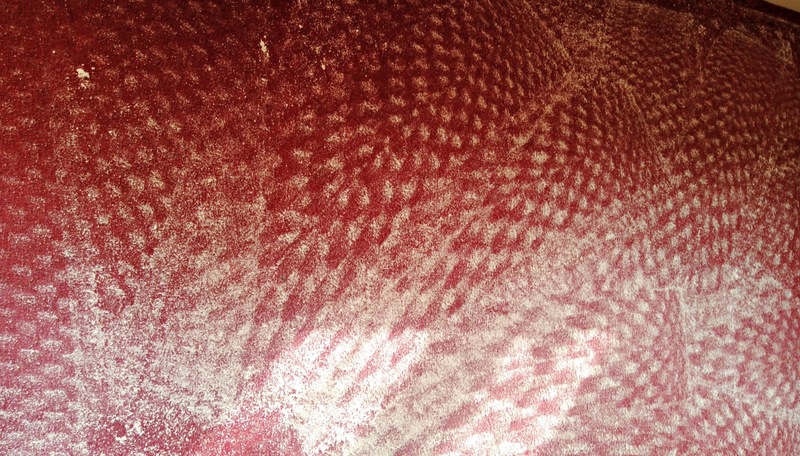 It is possible to buy dry cleaner powders that you use with a standard vacuum cleaner, but it is no easy task to work the product into the carpet well enough to have a deep-cleaning effect. The dry cleaning head does all the work for you, evenly distributing and working in the specially created product (Kobosan) for maximum effect. The machine drives itself, so there is very little effort required and you are left with an even coating of Kobosan powder, which has been driven right into the pile of your carpet, as in the photo above. All you have to do, is sit back and wait for half an hour, and then vacuum up the powder with the electric brush head. The results will be a softer, fresher, cleaner carpet, which smells wonderful. 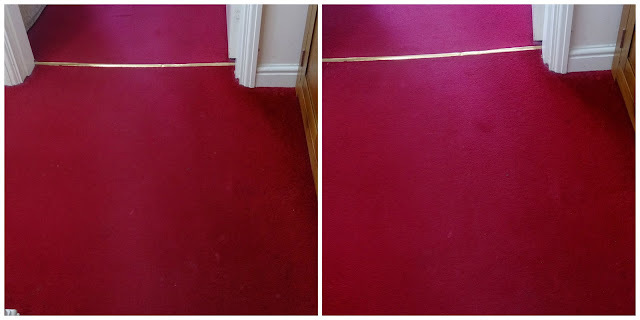 Our carpet is pretty old now and has seen better days, but you can see from the comparison photos below, that there is still a noticeable difference between the two, and it was distinctly softer underfoot. By far my favourite attachment for the Kobold VK200 has to be the Duoclean. This very clever device does exactly what it says in the title; it mops and vacuums at the same time, and it is an absolute joy to watch! 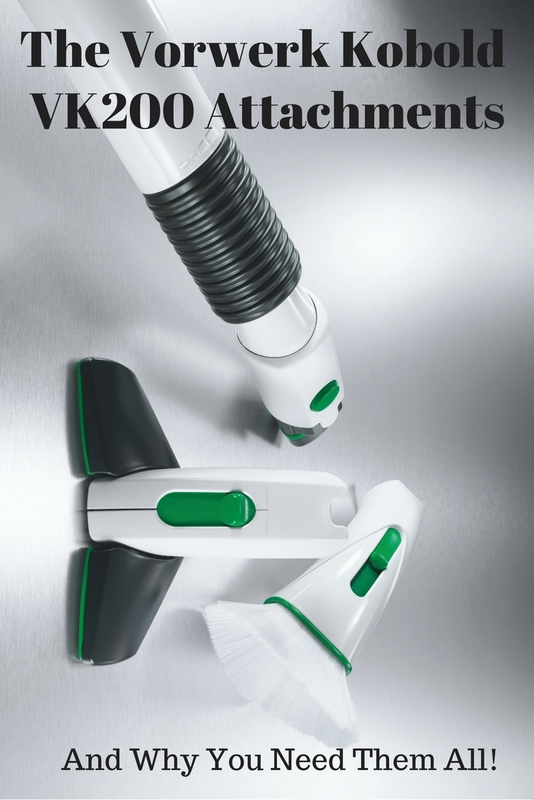 That little pile of loosened dirt that always appears after you've mopped or steamed is now a thing of the past, as it vacuums everything that the mopping function releases. Never again will you have to sweep up again after the floor has dried, you can just clean and go. It also uses the smallest amount of cleaning solution, so it is dry within minutes of cleaning, which is so much more convenient for busy families. The best part though, in my opinion, is the vibrating head, which is not only brilliant for loosening stubborn dirt with absolutely no effort, so you don't have to keep going back over the same spot, it also means the cleaning cloth gets pushed out sideways, so that it reaches right under the appliances, as demonstrated in the below photo. This means you don't get that tell-tale line along the edge where it's reached its limit. I may be fussy, but that line really bothers me, and I really appreciate a floor cleaner that can finish the job it starts! 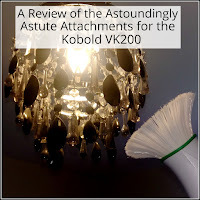 We were sent the Kobold VK200 cleaning system to review and so impressed was I, that I wrote this second review when I was only required to write one, to make sure I talked about everything the Kobold has to offer. It is so much more than just a vacuum cleaner and, once you own it, you can always go back and add different attachments as and when you need to. This system is an investment, but it's worth it. The reliability of this technology means that models can last in excess of 25 years and there is always someone on the end of the phone to help if things go wrong, or you don't understand something. 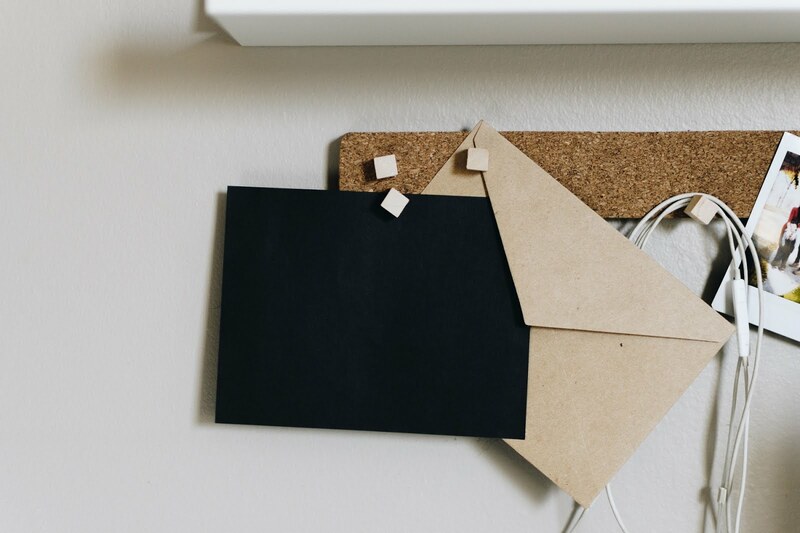 To make sure you know exactly what you are getting for your money, and that you only buy the attachments you need, you can arrange a demonstration of the product in your own home. Having experienced the demonstration myself, I really feel it's worth having. 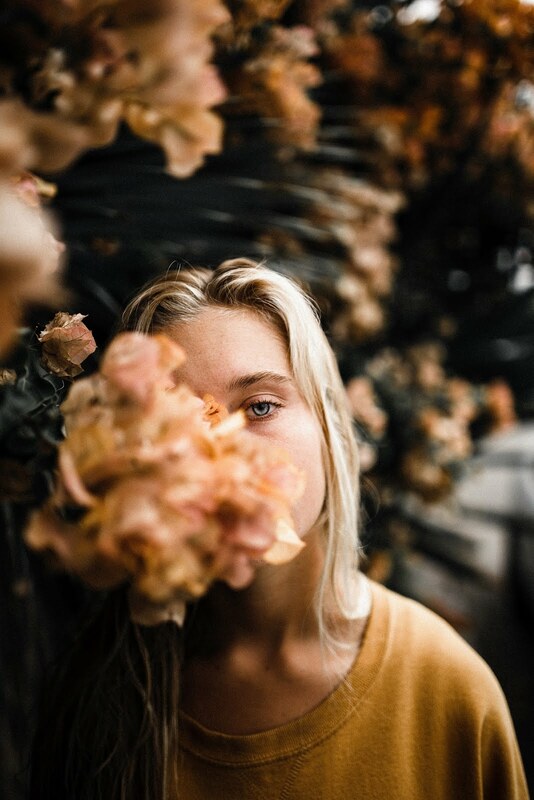 You are buying a product that will last, with a wealth of new technology built in, but you wouldn't buy a car or even a laptop without trying it out for yourself first, so I strongly recommend having an expert talk you through everything the machine does, so that you can use it to its full potential and get the most out of it. If you would like to book a demo with Peter, who visited me and is lovely, feel free to contact me and I can put you in touch with him personally. Our cleaner uses just this one and has nothing but positive things to say about it! Oooh this looks amazing!! I really want one like this, mopping and vacuuming at the same time is amazing! 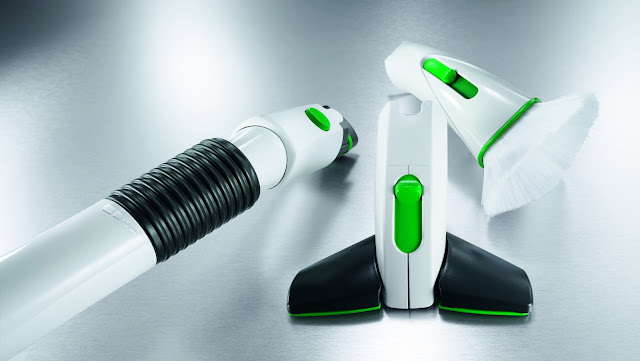 Seems and looks like an impressive vacuum cleaner, I am loving the different accessories so cool. these look great! We have similar attachments for our hoover and they help make sure nowhere is missed! Looks like a good product. I'll be giving this a try as I'm now looking to replace my cleaner.